Just as I was drafting my post earlier this week about the cute little cupcakes I received for my birthday, a friend forwarded me a link to a shop that has taken a new spin on the cupcake…a manly spin. Introducing the Butch Bakery, home to manly cupcake for manly men. 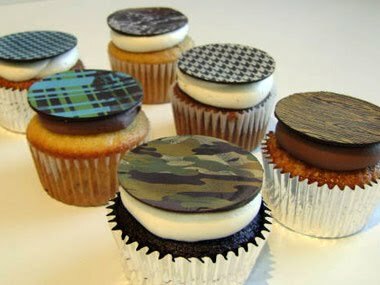 With a unique take on cupcake design and flavors like “Tailgate” and “Beer Run,” I’m sure men all over the greater NYC area are loving these tasty…err hearty cupcakes. Now if only they delivered nationwide!